Today’s devotional is from the website Partners in Hope Today, which we reconnected with six months ago. The devotionals posted there — in print and in audio — are especially focused for readers who are in a recovery program. Click the title below to read at source. The Bible tells us that if someone struggles we should be gentle and humble as we help them get back on the right path. It’s important to remember how we were when we were slaves to our addiction, just as they are now. We need to support the desire in a person’s spirit to carry out their new life choices, even while their flesh is weak. We also need to respectfully warn others for whom we perceive ongoing danger. We are not the Saviour, but we can love others as God loves us. Love goes beyond mere words. Sometimes it is demonstrated in silence or in an understanding touch as we come alongside someone who has strayed from the path of recovery. Love doesn’t accuse but encourages the person to get back on the path to healing and continue the journey. Would you like to be able to share your testimony with others? It could be very helpful to someone you know or someone you don’t. CRU — the organization once known as Campus Crusade — offers these tips in organizing your thoughts and the chronology of your personal story. Although we don’t sing hymns in many of our churches anymore, I decided to include this contemporary version of “Love Lifted Me” as an example of how a story (testimony) can be a great encouragement to someone else. Today we feature the writing of singer, composer, recording artist and worship leader Tommy Walker. Today’s writing is part testimony, part teaching. I can’t remember how many times I have felt like God was a million miles away and then, in an instant, I recognized that He was closer than the air I breathe. The Bible says in Psalm 22:3 that He actually lives and dwells in our praises. This is the mystery and the miracle of the breakthrough power and presence of God when we worship! When we worship, we affirm the truth of God’s Word, and it is being rooted deep in our hearts. When I was 11 years old, the Jesus Movement was taking hold in my hometown of El Paso, Texas. The church I attended began to be filled with long-haired, barefoot hippies. We sang acapella songs like “Hallelujah” over and over again. It really was an authentic, powerful move of God, but I was very young, so most of the time I was bored and distracted. However, I do remember watching the Holy Spirit move on people’s lives in a special way. I remember seeing high school kids worshiping and weeping at the mention of God’s love. There was such an amazing sense of grace and unity among everyone. One Friday night as a Christian band was playing “Jesus Loves Me, This I Know,” it happened – for the first time, while observing everyone worshiping God, I began to sense God’s presence. I’ve heard it said that worship is a picture of the Gospel in motion, and it certainly was for me that night. I saw people displaying a kind of personal, intimate relationship with God that I wanted and needed. A relationship that I knew was made possible only by the blood of Jesus. One of my earliest memories is of my parents gathering us around my mom’s baby grand piano and having us sing the old hymns of the church for what felt like hours. At 5, I would end up lying under the piano and eventually falling asleep. I didn’t think much about Jesus and the Gospel then, but on that Friday night as the Christian band performed, the God we had sung about became my own personal God. I sensed Him saying to me for the first time “Tommy, I love you and I have called you to do great things for Me.” I wept at the thought that the God of heaven wanted to save and use a young boy like me. I surrendered my life to Jesus that night. One of my life verses has been Psalm 40:3, “He put a new song in my mouth, a hymn of praise to our God. Many will see and fear and put their trust in the Lord” (NIV). Every person is created to be a worshiper. God dwells and, I believe, manifests Himself in the praises of His people. It has always been my prayer when I write songs and lead worship that the breakthrough power of God would bring the lost to Him–just like it happened for me. After graduating from high school, I went to Bible college, and one of the areas I learned about was spiritual warfare. At first I resisted the training because I met people who spent so much time rebuking the devil. I thought they were giving the devil too much attention. 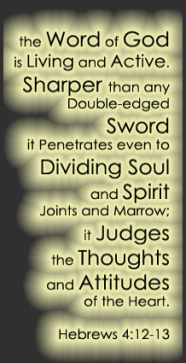 To this day, I don’t agree with everything I saw there, but over time I have recognized that we are in a battle and there truly is an enemy that is out to destroy us. Several years ago when I was doing a worship event in a poor neighborhood in Zambia, I sensed a darkness all around us–poverty, violence, abuse, hopelessness, hunger. We worshiped the Lord every night for more than an hour before we felt we could even begin to present the Gospel. Only then did we sense a real breakthrough in the spirit, and we saw hundreds come to Christ. Through that event and others like it, I came to realize that worship is how we allow God to fight our battles for us. You may be familiar with the story of Jehoshaphat. Second Chronicles 20:22 says, “As they began to sing and praise, the Lord set ambushes against the men of Ammon and Moab and Mount Seir who were invading Judah, and they were defeated” (NIV). What a strange battle plan–but the result was that the Lord won the battle for them! There is something inherent in the act of worship that enables us to encounter the power of God like nothing else. It is not effective to simply tell someone to stop worrying; stop being proud; stop being self-consumed, distracted, insecure, bound and materialistic. But it is effective to tell them to start worshiping. When we make that decision to fix our eyes on Jesus, we quickly realize that God has already begun to release the grip these tendencies can have on our lives. Worship is a declaration of our weakness and God’s strength. I challenge you in your next point of need to make that hard choice to be a worshiper and let the breakthrough God fight your battle for you. When we worship, the invisible God is at work doing invisible and powerful things. We get realigned, refreshed and refueled; we find unspeakable joy and indescribable peace. We discover the breakthrough strength of God, which enables us to walk in the truth, live in His presence and see Him fight our battles for us. It is how we can put the beauty of the Gospel on display, receive His many blessings and at the same time be a blessing to the world. [1.] 3:15 Or for we must fulfill all righteousness. [2.] 3:16 Some manuscripts read opened to him. One of the ideals we’re committed to here is allowing what I call next generation voices to be heard. Katie calls her blog The Hipster Ginger, and I loved her take on what her denomination teaches about baptism. Click the title below to read the full article at source. I love baptisms. I love the stories, the memories that are made, and the amazing promises that happen at a baptism. I am a United Methodist through and through. My experiences are pretty freaking Methodist, so this post will be mostly Methodist. When we make our initial vow in front of the body of Christ when we are presented for Holy Baptism, to “renounce the spiritual forces of wickedness, reject the evil powers of this world, and repent of your sin,” (Standard Book of Worship) we are not just renouncing the spiritual forces that we struggle with as individuals. We are also rejecting the evil powers that are loose in the world. Likewise, we are not just repenting of our sins as individuals. We are also repenting of the sins of humankind as a whole. Today we are going to have a VERY brief review of the three promises we make in baptism; renouncing, rejecting, and repenting. To RENOUNCE is a fundamental act of treason. It is to break allegiance to a power or authority to which one had previously given allegiance and service. From the earliest examples of baptismal questions we have, renunciation of Satan or the devil (spiritual forces of wickedness, we say) always comes first. Because you cannot make new alliances until your old ones are broken. It also follows the pattern of centuries of practice when you seek citizenship in a new realm or country. You first breaks allegiance to the realm or sovereign of the people from which you have come from and only then you pledge allegiance to the new realm or sovereign. To REPENT of our sin (yeah, SIN. I did it on purpose) means more than feeling sorry or guilty for bad things we have done in the past. The Hebrew verb behind repent (shuv) means “to turn from.” The promise we make is not just to turn from “sins” (actions that bring harm) but “sin” itself. A few days later, Katie’s friend Melissa weighed in on a topic that often trips up Christians: Why should Jesus need to be baptized? We join that article in progress; click the title below to read it in full. …It is important to note that baptism is not exclusively a Christian ritual. Jesus and John were Jews, after all. Christianity gets the ritual from the Jewish cleansing rite, which symbolized a person’s changed nature – a new identification, new status, new creation. People got baptized as a way to symbolize their repentance, or turning away from sin, and to be symbolically cleansed. So why did Jesus get baptized if John was only preparing the way for him? Did Jesus need to repent and be cleansed from his sin? My suspicion is that Jesus was not baptized because he needed to repent, but because he was eager to show his devotion to God through baptism. He also was affirming the truth that John was preaching: The Kingdom of God is near, and Jesus would be the one to establish that Kingdom on earth. After Jesus was baptized, the sky ripped open, God the Holy Spirit descended on him like a dove, and God the Father spoke, affirming Jesus as God the Son. This was the beginning of Jesus’ ministry on earth. Because Jesus was baptized, we get baptized today as a way of following him and to remind us that when we live in the kingdom of God. We have a new identity, and that identity is in Jesus Christ. It is through the water that we experience God’s grace and enter into the Body of Christ. The beautiful thing about the Kingdom of God is that all are welcome to this new identity. Our identity in Christ defines us more than what we look like, smell like, dress like, or talk like. God uses people as wild-looking as John the Baptist–the dirty, matted, smelly man with a weird diet. How will you remember your identity in Christ today? How will you celebrate God’s grace in your life, and how will you offer that grace to others, regardless of what they look like? …It is our human nature that we want to be accepted by others. And if we are honest with ourselves, we strive for that daily. We want to be part of the ‘in-crowd’; yes even followers of The Way are not immune to that.. We want others to hear our voice. But here is just the thing: we cannot please everyone around us, and especially not on social media. Remember when you were in school (the upper grades)? Although I did not go to school in America, there are always clicks [cliques] (in-crowds) no matter where you attend school. We strive to be part of that. This morning as I was driving to work, I heard the song “Everything Comes Alive” by We Are Messengers. When you watch the song on YouTube, the singer has a testimony at the beginning and at the end. I encourage you to check it out when you have time. You see, we are all broken. Some more than others. I know that I am broken, but my hope is not in what others think of me/my work or if others want me to part of their in-crowd. But God, in His mercy and grace, uses our brokenness to point to Him. We just need to be open to that and let Him use us for His Glory. The question of “What is ‘the unpardonable sin? '” comes up often in church life. Many of you reading this have complete peace on this issue and don’t really feel you have anything to worry about, but would be at an absolute loss to explain it to someone who asked you. In part, we really don’t have a view of sin that goes beyond simple definitions, to see it from the point of view of a God who is full of both justice and grace; to see the things that grieve the heart of God. This article by Patrick Hawthorne came recommended; it’s from his blog Serving Grace Ministries. Click the title below to read it at source (with comments) and then click “home” to view other articles. About two weeks ago, I attended the annual retreat for spiritual directors. The topic was Soul Gardening, so we meditated on the soul plants we had been given as gifts from God and weeds in our garden which might need to be eliminated. I thought about weeds. What if the weeds in my soul are gifts, too and not something to pulled up or sprayed dead? Maybe, we should listen to them before we decide. I love happy yellow dandelions. About the first plant to bloom in the spring, dandelions are the first food available to bees. Children make bouquets from them for their mothers and bracelets, necklaces and crowns for fun. When dandelions go to seed and we blow on them, fluffy seedlings float into the sky to spread the joy. When young, the leaves can be good for eating, and dandelion blooms make fairly good wine. I read that if we kill all the dandelions, the population of bees will be greatly reduced which would be disastrous for our food supply. In spite of this, most often, we get rid of them. We don’t want them were they are, because they are weeds…. Or are they? Perhaps, the weeds are in my soul, along with spirit gifts, to give me something or teach me something—for my benefit and the benefit of others. If I sit with my dandelions and listen to them, what might they tell me? I’ll share one story. I have listened long to it. I have a genetic tendency to clinical depression and panic attacks. I don’t have them, now, but there is always a possibility if I don’t pay attention to my life. There was an extended period, as a young woman, when I was almost totally incapacitated by fear. I couldn’t leave the house; sometimes I couldn’t get out of bed, and I was afraid of everything including God. It is very unfortunate, I believe, that this weed growth took place when my children were little. I wasn’t available to them when they most needed me. I drank too much to mask the fear and pain because I didn’t know what else to do. God was eventually able to break in, providing a diagnosis and assuring me of his love, and healing began. I believed that the best thing I could do for my children, first of all, was to get healed myself and so I began the long journey of recovery. I needed medication and therapy for a time and our Christian community was available to pray for me and help when I was ready to panic. So – Gift or Weed? Rather than zapping me well, God impelled me to become well. I wanted this weed to be pulled up or killed immediately, but it wasn’t time for that. There were lessons to be learned about me and about God that I would have missed. The ensuing healings, redemption and transformation are part of my story. Some healing still needs to happen in my family, but God isn’t finished with us yet. Perhaps, the point of the weeds in our souls is to get us in touch with the One who grows and heals and who turns what appears to be supposedly noxious weeds into lovely trees. Do I love this process? No. But I’m so, so grateful for it. bowing before you, blessing your name. I often tell people if you have company over and it’s getting late and you want your guests to go home, start talking about Jesus. Unless it’s church people, your friends will get fidgety and start looking at the time on their wristwatches or phones. When we begin with God we begin with our idea of God and our idea of God is not God. Rather, we should begin with God’s idea of God and God’s idea of God is seen in Christ. 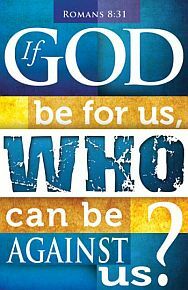 II Cor 4:5 For we do not preach ourselves but Christ Jesus as Lord, and ourselves as your bond-servants for Jesus’ sake. Yesterday morning I walked with my neighbor as we try to do once a week. We often talk about the things of the Lord though our Christian backgrounds are very different. She, being a very conservative Mennonite, is quite reserved in speaking to others outside her church about the Lord. In the course of our conversation she said, “Brooksyne, I thought of you the other day when I was talking to the father of a boy that’s in my daughter’s class. He has lots of problems and I told him that if he would start going to church it would help him with his problems.” In hindsight she chuckled as she said, “You would probably tell me that I should have witnessed to him about finding God, rather than finding a church.” She said this because she later found that he was already in a church yet not living according to God’s teachings. Like my neighbor who was comfortable talking about “church” but it would have stretched her even more to talk about Jesus, I was comfortable talking about God as I witnessed to others but I rarely talked about Jesus. It changed my witness approach and made me more bold to declare the name of Jesus who came to die for us, rose again from the dead and evermore lives making intercession for us. Perhaps you can’t relate to this, but if you do, speak about Jesus more openly until it becomes a regular part of your conversation to outsiders, especially those who need to be saved. Reading this reminded me of something we started in a church we were serving in many years ago, a Sunday morning featured called “The Witness Stand” where people in the congregation whose voices were rarely heard could tell their salvation story. When I began, I automatically chose people who I knew would do a good job with their presentation, but eventually I worked my way down the list and noticed we started getting people talking more about how much “this church” meant to them, and not how much Jesus meant to them. Were we converting people to Christ or converting people to our church? I immediately dropped the feature after about three weeks of this. I Cor. 14:26 What is the outcome then, brethren? When you assemble, each one has a psalm, has a teaching, has a revelation, has a tongue, has an interpretation. Let all things be done for edification. I’ve seen this verse applied in both conservative Plymouth Brethren-type churches and also independent Charismatic circles. Initially, people stood up with a verse of scripture or a testimony they wanted to share. But then people started talking about things that were rather random, and after the one woman went on about her dog, I knew it was time to shut that one down for a season. One of the greatest marks of the unhealthiness of the Church is that rather than manifesting the glory of Jesus and the offensiveness and foolishness of His cross, the culture-exegetes of today attempt to show the world how much alike we are. In so doing, professing Christians present themselves to the world, and, purposefully or not, implicitly ask unbelievers to receive them long before calling them to receive Christ. not Bible knowledge, not how to be a better person, not moralism, not the history of our church and denomination, not how our local church governance works; but the grace and knowledge of Jesus. Why Choose Christianity and Not Something Else? Or Nothing Else? Why would we choose to be a Christian and not something else? Why follow Jesus when there are so many other options including an attempt at following no one? With so many religions, how can we settle on one, or should we even settle on one? One answer appeals to the tension that exists between naturalistic explanations and supernatural explanations. There are perfectly good explanations for how the vast majority of religions arose, explanations which make no appeal to the supernatural. For example, it is not hard to see how ancient myths involving a pantheon of gods arose out of need to understand things beyond understanding. Bad things happen because the gods are angry, sometimes at humans, sometimes at each other. As understanding increased, the gods were pushed out as being not a very good explanation of the facts. The naturalistic explanation, saying “men came up with myths about Zeus and others” fits all the data we have available much better than an appeal to a supernatural explanation; “men spoke about Zeus and the rest because those gods were real.” Similarly, to say “Islam arose because Muhammad was impressed with neither the people nor theology of Jews and Christians and so founded his own religion” fits all the data available better than “Islam exists because Allah revealed himself to Muhammad.” We can follow similar lines of reasoning for 99% of all the world’s religions. In this sense, atheism is a powerful ally to Christianity for the atheists help us make the case for why we reject the vast majority of religions. We should note that in fact the early Christians were accused of spreading atheism! They were going around saying that all idols and myths were human invention. The supernatural explanation accounts for why people in the days following the death of Jesus were going around saying “Jesus is risen, I have seen him” and were willing to die for that claim. Appeals to hallucinations and/or fabrications do not account for the facts very well. The supernatural explanation accounts for sudden birth and rise of an unexpected Christianity theology. The theology of Christianity is not what you would expect from Jewish scriptures and expectations, but it is what you would expect from Jewish scriptures and expectations plus the resurrection of Jesus from the dead. The supernatural explanation accounts for the staying power of Christianity and why so many people over so many years have some claim of a personal relationship with God through Jesus. The Christian message was not popular to either Jews or non-Jews from the get go. And yet it caught fire and continues to do so today despite still being unpopular to the point of persecution throughout the world. Yes, other religions have had staying power also, but you can come up with naturalistic explanations for this. Christianity would have died out ages ago if God were not in it. Within the Bible itself we find an example of this tension between a natural and supernatural explanation. In Acts 26 Paul shares with King Agrippa, the local governor Festus, and many others how he came to be a Christ follower including his experience of the risen Jesus. But at some point Festus has had enough: “And as he was saying these things in his defense, Festus said with a loud voice, ‘Paul, you are out of your mind; your great learning is driving you out of your mind.’” (Acts 26:24) With that Paul says “I am not out of my mind, most excellent Festus, but I am speaking true and rational words.” (Acts 26:25) Here we have a tension between a naturalistic explanation given by Festus; ”Paul, you are mad, no gods here,” and a supernatural explanation from Paul: ”Jesus appeared to and spoke with me.” Paul could have gone for a naturalistic explanation himself “perhaps the stress is getting to me and so I had some sort of hallucination.” However any naturalistic explanation could not fit all the facts, including the fact that his companions experienced something also, “we had all fallen to the ground,” (Acts 26:14) not to mention Paul’s further experience of regaining sight through the ministry of a Christian (Acts 9:10-19). No naturalistic view could account for these things. There is one more thing we should mention about all this. There is no religious perspective that if found to be true could offer more hope, both for this life and the next, for more people, than Christianity. That Jesus rose from the dead and Christianity is true is not just a rational conclusion, it provides for an amazing hope in God’s amazing grace. All Bible references are taken from the ESV. Word of this miraculous series of events draws international attention and foreign ambassadors come to pay their respects and see how the king is doing. Now God, knowing Hezekiah had a tendency to become proud (2 Chron. 32:25), decided to test the king. He withdraws His presence to see if he’s going to tell the ambassadors about God’s goodness and loving-kindness, or if Hezekiah is going to show them all his accomplishments as a king. Hezekiah failed the test by showing his visitors everything in his storehouses (2 Kings 20:13). This is where I pause, because I completely understand Hezekiah. If I felt the Lord left me after I’d been healed of a life-threatening disease, I’m not so sure I wouldn’t try to recount all my accomplishments before the assembled crowd and show them everything in my storehouse. Then in my spare time, I’d be looking for God under every pew and behind every stack of Bibles. I’d be telling everyone who’d listen what God did in hopes that God would show up again and let me feel His presence. God, of course, can never truly leave us. There is nowhere you can go to escape His omnipresent Self. David learned this lesson well and wrote a poem about it. Well call this poem Psalm 139. The Greek word is tauta—such things were some of you, very monsters rather than men. Note, Some that are eminently good after their conversion have been as remarkably wicked before. Quantum mutatus ab illo!–How glorious a change does grace make! It changes the vilest of men into saints and the children of God. Such were some of you, but you are not what you were. 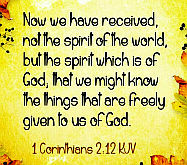 You are washed, you are sanctified, you are justified in the name of Christ, and by the Spirit of our God. Note, The wickedness of men before conversion is no bar to their regeneration and reconciliation to God. The blood of Christ, and the washing of regeneration, can purge away all guilt and defilement. There are however, people who will sometimes think their personal testimony (salvation story) just isn’t all that dramatic. Maybe you grew up in the church and had a definite moment where you ‘accepted’ Christ’s atonement for yourself at a very early age. I heard someone speak on this and say, “For some people it’s what they were saved out of, for others it is what they were saved from.” You don’t know what your story might have been apart from Christ. You are therefore an “older brother” to those who come to faith at later stages, not to mention those “thieves on the cross” who come to Christ at the end of life. And all of us share together what we were saved to, regardless of our life narrative. However, that said, everyone of us as a “before and after” story if we truly understand positionally what happened to us when we invited Christ to place us under the covering of his taking of our punishment for sin. You may not have a personal story that matches up with the old hymn, “I was sinking deep in sin, far from the peaceful shore,” but without Christ, you were sinking, deep in sin. We have been saved, we are being saved, and we will be saved. …As I prepared this, the Christian radio station in Australia that I was listening to started playing My Lighthouse by Rend Collective, which speaks of God leading us “safe to shore;” a kind of modern take on that old hymn. Enjoy this as part of today’s meditation. 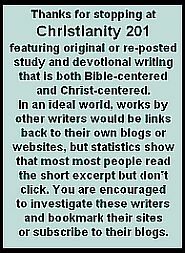 Today we’re featuring another member of Faithful Bloggers (see icon in the side margin) this one is Devotions 4 Real Life. I chose this particular item… well you can guess the reason; it’s called Being a Misfit. Recently there has been some talk about “misfit ministers”. Rather than being offended, I was actually proud to be counted as a misfit because The One we follow, our Lord and Savior Jesus Christ was himself a misfit…..
A person whose behavior or attitude sets them apart from others. That pretty much sums it up, and using this definition, then all Christians are called to be misfits….. There you have it, right from the Bible. We are called to not be conformed to the world, to not fit in. but be ye transformed by the renewing of your mind, that ye may prove what is that good, and acceptable, and perfect, will of God.. The key to this verse is actually in the last portion referenced above. Being transformed by the renewing of your mind. And how do you renew your mind? By prayer and by reading The Bible. No traditions are going to renew your mind. No amount of following a man made Doctrine is going to renew your mind. You have to seek The Lord in order to do this….. In fact, many times following so called sacred traditions is the very thing that makes you conform to the World. The world as used in this verse can mean not only the secular world, but also the religious traditions that have been handed down and practiced by people for no other reason than the fact that it has always been done that way. When you practice so called “religious rituals” in this manner, and believe that these rituals can make you right with The Lord no matter what the state of your heart is towards The Lord, they lose any Spiritual nature that they may have had, and become nothing more than a vain tradition that you do to be seen by other people and thus become worldly……………..
Jesus came into the world and did not conform. He upset the religious authorities of the day by doing and teaching things that went against their traditions. He also did things that went against their laws. He healed on the Sabbath, He touched people (lepers for example) that were considered unclean, He ate with those the religious authorities hated. The sinners flocked to hear His message and the Pharisees didn’t like that at all….. In short, this made Jesus a misfit in the eyes of those who considered themselves the “religious authorities” and self proclaimed “Holy men” of the day…… because he purposely set himself apart from them and their exclusionary teachings. .
My friends I want to challenge you today to break away from these vain traditions and follow the word of The Lord. Get out from behind those stained glass windows and out into the streets. Be a misfit and set yourself apart. Go out and preach the Good News of the Gospel to all people, not just those who look like you, act like you, or believe like you. Be a misfit Minister, because you will be in VERY good company…..
Today’s item here at C201 is part testimony, part inspiration and part Bible study. I hope you’ll enjoy this piece from the blog Saint in Training. Click through to read at source and discover more from this blog’s two authors. I am a living witness that God can and will save the worst of sinners. I once saw myself as being beyond redemption, having no understanding that our Heavenly Father sees us all the same and that through His son Jesus Christ, he made a way of escape for us. Although our sins may differ we stand in danger of facing the same penalty for unrepentant sin: eternal damnation. Thank God for Jesus! It’s because of Him that every sinner is promised a future and thus once we become Christians it behooves us to remember that every saint has a past. Dear hearts let us not forget that it was the mercies of God that brought us out of sin. We should be careful not to become self-righteous, thinking of ourselves more highly than we ought to in Christ. Our awesome God, blessed be His name, is the only one worthy of praise. The saying, “I don’t look like what I’ve been through,” is true. If I were to write a book, it couldn’t express the immensity of the love, grace and mercy God has showered upon me! Growing up in the streets of New York City shaped my thoughts and molded my life into a vehicle for sin. Loneliness was my best friend, distrust taught me to fear the night while hunger gave me the strength to beg and the will to live. I learned how to survive that kind of life. God wasn’t in my thoughts; he wasn’t a part of my life at all – or so I thought. I didn’t realize that it was he who was keeping me alive! His ever watchful eyes saw every step I took and protected my every move. He didn’t allow the devil to fulfill his desire to have my soul, nor did he let the demons of hell drive me to a point of no return. God kept my mind! Oh! The unexplainable love of God. His love can’t be measured. It is deeper than the sea and as solid as a rock! We are so unworthy of his love, of his grace and of his mercy – yet, God still chose us to be his sons and daughters in Christ! He chose us to spend eternity with him in his heavenly kingdom. So those of you who have a feeling of unworthiness that overshadows you, I encourage you today to lift up your hands unto the Lord and bless his holy name – you are blessed. Yes, you are blessed! Why? Because he chose you to love and favored you by calling you to be his son, his daughter! I’ll never find myself worthy of God’s love but I am grateful. I praise him for seeing me as being worth loving – that’s more than enough for me. Dear hearts, it was for the unworthy that Jesus died! When Jesus heard it, he said to them, They that are whole have no need of the physician, but they that are sick: I came not to call the righteous, but sinners to repentance. It’s the unworthy that Jesus loves! It is the unworthy he embraces! Why? Because it is they who love him the most. They know that they are just that, unworthy. They are grateful and humble before him. God can use them to give hope to the hopeless. He shows his love toward them who desperately need the one and only true living God in their lives! What does God see in us? You know yourself as a drug dealer – God sees you as a preacher. You know yourself as a prostitute – God sees you as a missionary. You know yourself as an alcoholic – God sees you as an evangelist. You know yourself as a liar and a thief – God sees you as a prayer warrior. You see yourself as a nobody – God sees you as the apple of his eye. You know yourself as a sinner – God sees you as a saint! Where man has counted you out, God has already counted you as a winner! Where some may see us as being worthless, God sees us as being worth it! Man and Satan took us to the courtroom at Calvary dear hearts; they charged us and found us to be guilty. Oh! But God dropped the charges and He found us guiltless through the death of his son Jesus Christ! He did this for me! He did this for you! Let the wicked forsake their ways and the unrighteous their thoughts. Let them turn to the Lord, and he will have mercy on them, and to our God, for he will freely pardon. “For my thoughts are not your thoughts, neither are your ways my ways,” declares the Lord. “Come now, let us settle the matter,” says the Lord. “Though your sins are like scarlet, they shall be as white as snow; though they are red as crimson, they shall be like wool. If you are willing and obedient, you will eat the good things of the land; but if you resist and rebel, you will be devoured by the sword.” For the mouth of the Lord has spoken. God has called you by name, he has chosen you for his own – receive his word, believe and watch your life change! But then on the weekend I was reading the former verse and realized I was reading it as “always be ready,” when in fact it is saying, “always be prepared.” These verses may find themselves coupled into the same sermon — and rightly so — but they are dealing with two very different things. As someone who has spent the majority of his time in an Evangelical environment, I know that sometimes we tend to “wing it.” Some Evangelicals, Pentecostals and Charismatics even abhor the idea of printed prayers or scripted sermons. Make no mistake, there is a time for that. The second passage indicates that when you are suddenly thrust into the spotlight; when you suddenly find yourself defending your faith; in those times you have to lean on the Holy Spirit for supernatural help. But even those situations are grounded in preparation that has taken place before. It involves study, for sure; but that study will be motivated by a passion for the subject matter at hand; a passion for the unknown, potential person with whom you might share any given insight. That passion is often missing among Christ-followers. In our town, we’re currently having a series of five “discussions” with the atheist and agnostic community. Several of them have come, and there are many people there from the organizing committee and what you might call the host church (even though they’re using a public space). But there are entire churches not represented at all; and without being too judgmental, it disturbs me that there isn’t one person in those churches who would turn up out of passion for apologetics. I can’t finish unpacking the I Peter passage however without underlining that it says, “do this with gentleness and respect.” I think of some of the people who gain much U.S. media attention who have missed this whole aspect of witness. You have to display a loving kindness and a respect toward the people you want to reach. It’s not about winning an argument, and even if it were, nobody wins a debate based on the volume of their words. In this case, it’s more about the gentleness of their spirit. Where is God When Chaos is Happening? Today’s blog post was sourced after the anonymous author left a comment at my other blog. I hope this works…we’re going to break the rules today and include a testimony here, but it’s one that’s really worth the reading all the way to the end. As usual, we’ll post it in full here because statistically many of you don’t click, but please, do the author a favor and read it on her site, okay? On Monday we were a family of four; by Friday we were down to three. On Monday I was a minister’s wife; by Friday he had been fired. On Monday, we were upper middle class; by Friday I could qualify for food stamps. On Monday we had a three bedroom house complete with two kids, two dogs and a fenced in back yard. By Friday we were preparing to move. “Pop Goes the Weasel” became our family song. Thankfully the scary free-fall we were experiencing was broken by a gracious, loving church and a Sunday School class full of friends. They took the shame and embarrassment we were experiencing and lessened it with graceful love. Our church provided my sons, dogs and me with a house until we could get back on our feet. When we moved in, there were groceries already in the cabinets from my Sunday School class. Meals, cards and monetary gifts came. God provided through his people. It was during this time that I sat on the edge of my bed asking, “God, HOW do I DO this? How do I DO life?” God drew me to Proverbs over and over again each night. It became my guide for “doing life” as it was at that moment. In Proverbs it shows that there are really only two ways to do life – you do it “with God’ or you do it “without God.” I had a choice to make. Did I want to live with bitterness, revenge, and fear or did I want to be free from those things building up and choking my life? I wanted to be free, so I chose God. That may sound like a proud bragging proclamation, to say “I chose God.” But it is not. God cries out to be chosen with His arm raised over the worldly crowd. He waves it wildly in the air, hoping to catch our eye. “Pick Me, Pick Me” is His chant. Our eyes scan the crowd of choices and in our brokenness and neediness we point to Him and shout –” I choose Him”. He steps forward and makes the weasel’s song fade and replaces it with a new melody…fresh, clear, compelling, pure and free. It is God, and He is singing. After November of 2009, Jack kept jumping. Our lives had been drastically changed in one week and our lives would change even more as the New Year introduced itself. Thanksgiving and Christmas with family passed and became dear memories…really dear memories. I started off the New Year by going with my sister to chemo. I had never been in that situation before and seeing the young and old waiting for their turn in treatment was eye opening. When my sister stated that her doctor was the leading specialist in the type of cancer she had and that he only accepted “special” cases, I knew we were heading into a place in life I did not want to go. As January ended I prepared to budget for February. I pulled up my recent paycheck stub online and noticed that my paycheck had decreased significantly. A phone call informed me that the IRS was garnishing my wages for taxes my husband and I owed. Since he was fired and we were separated, I was the only one with a job…so they came after me. Now my two boys and I had to live for five months on $800.00 a month. This surprise almost put me under, but God held my nose above the water. Not long after that my son’s car blew up, and then he wrecked mine. My tri-focals broke and had to be replaced. February was the month of broken things that just settled in along side our broken emotions. It was at this time that I noticed laughter…the weird kind of laughter that breaks out when the Jack-in-the-Box toy pops out at a baby. It is a laughter mixed with fear and amazement. I had the laugh, my friends had the laugh and my children had the laugh…what else could go wrong? Well, a phone call can go wrong. My Mother was sick. The day she got out of the hospital was the day she went back in the hospital. The news was not good. We lost her here, but she gained heaven with her Christ-bought soul. On my birthday in March, we buried Mom and that evening we were told that my sister had three months to live. We lost her in two…May was her date to go home. Where was God when all this was happening? He was where He has always been..on the throne. I don’t see the throne room of God as a cruel place where He flings out sorrow to earth. There is not a jester standing by Him who is playing around with my life to entertain. Why? Because Death, Decay, and Sorrow are products of this world that I have to wade through. Their flow of muck originated in Eden, but will end with Heaven. It will be clear one day…until then I will by faith see LIFE in death, I will see Hope in decay and I will see Joy in sorrow. Jack is in his box…eternally confined. God is on His throne….powerfully free.